Sindhubaadh is an upcoming film directed by Su Arunkumar, that has Vijay Sethupathi and Anjali in the lead roles. It is produced by S.N. Rajarajan and Shan Sutharsan under the banners K Productions, and Vansan Movies respectively. The team has finally locked the release date of this much-anticipated film. Sindhubaadh will be releasing on 16th May, which is a Thursday. The makers aim to make the most of the 4-day weekend to ensure a successful run at the box office. 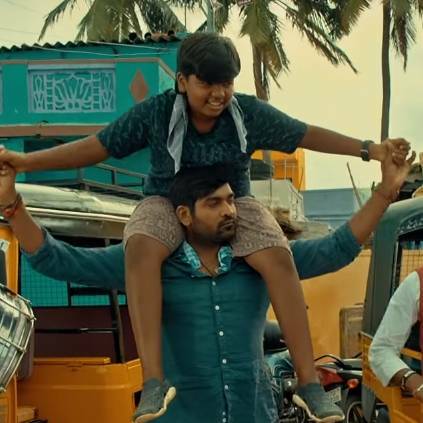 Sindhubaadh would be Vijay Sethupathi's 3rd release this year, following Karthik Subbaraj's Petta and Thiagarajan Kumararaja's Super Deluxe. It has Vijay Kartik Kannan as the cinematographer while Yuvan Shankar Raja will be composing the music. People looking for online information on Anjali, Sindhubaadh, SU Arun Kumar, Vijay Sethupathi will find this news story useful.